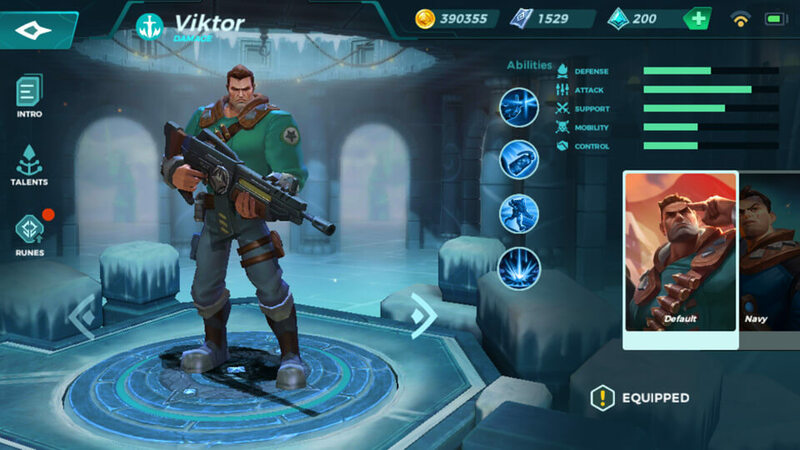 Viktor is heavy damage dealer who can single out a target with his Assault Rifle or blast an entire area with an aerial Barrage. CD: 0.9s. Fire 5 bullets from your Assault Rifle in a designated direction, which each bullet dealing 250 damage. CD: 10s. 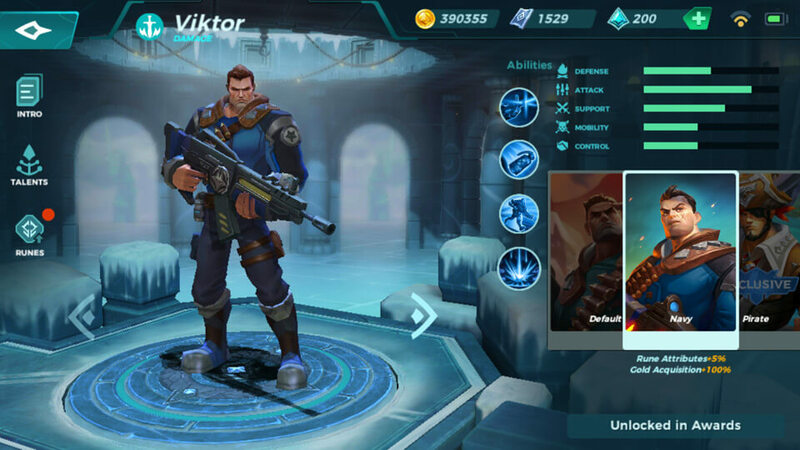 Throw a grenade which explodes to deal 550 damage and reduce enemies movement speed by 30%. CD: 6s. 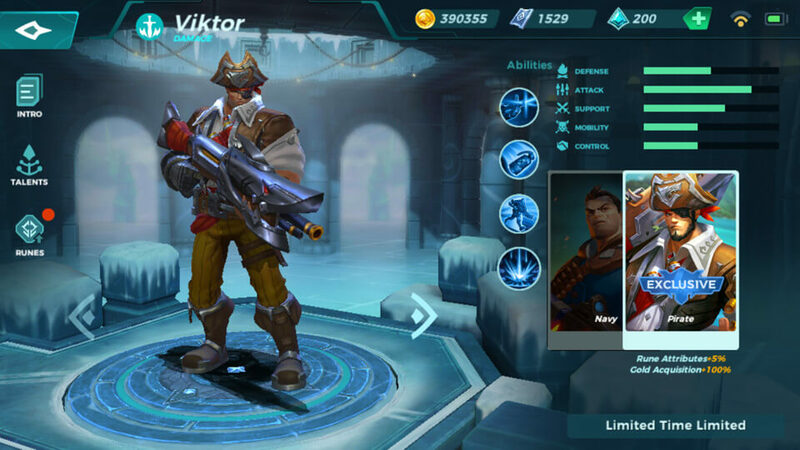 Lower your weapon and increase running speed by 50%, casting abilities or getting hit will end Hustle. CD: Energy Gained. Guide an artillery shell to fire 3 times, each dealing 800 area damage which ignores blocks and shields.